WUWM's LaToya Dennis reports on the concerns over the regional facilities expected to replace Wisconsin's two juvenile facilities. New Gov. Tony Evers recently toured the troubled juvenile correctional facilities in northern Wisconsin — Lincoln Hills School for Boys and Copper Lake School for Girls. While the facilities are slated for closure in 2021, problems remain. Lincoln Hills and Copper Lake have been under a federal investigation for around four years over allegations of abuse. And in 2017, prison workers were ordered by a judge to change a number of procedures. Among them, workers were told to curb the use of pepper spray and strip searches, and to increase the amount of time youth spend in class. According to the court-appointed monitor, none of the requirements is being fully met. Meanwhile, there are concerns about the plans to build regional facilities to replace the juvenile prisons. With a change of leadership in the governor’s mansion, juvenile advocates are hopeful their voices will be heard. From the beginning, there were concerns about former Gov. Scott Walker’s plan to fast-track closing the state’s two juvenile facilities in favor of regional detention centers around the state. The idea is to keep kids who’ve committed crimes closer to home and therefore family — something Democrats had been advocating for years. Lincoln Hills and Copper Lake Schools are slated to close in 2021. Under the plan that’s already in motion, Lincoln Hills and the Copper Lake will close in 2021 and counties will be given more control over housing and rehabilitating youth. Mary Jo Meyers, director of the department of health and human services for Milwaukee County, says the hunt is on for a location for the facility in this region. “We’ve looked at well over 40 pieces of land throughout Milwaukee County. Our goal is to keep it close to where families live to make sure it’s bus line accessible. Make sure that it’s accessible for families to be involved because of our programming and our treatment model. It’s highly focused not just on the child but also their family, and so we need to make sure that we’re getting to a place where families find it welcoming as well as accessible,” she says. Meyers says the county, in conjunction with an organization called Youth Justice Milwaukee, has held community listening sessions to ensure the creation of a program that best serves people here. She says looking at all the problems at Lincoln Hills, it’s clear that the model does not work. “What we want to do is look at each child and family as an individual child and family, who has individual needs, and create a lot of options throughout the system of care at different points in their level of need and respond to those individual levels of need in the best possible way,” Meyers says. In addition to the facilities run by counties, the state will also open two juvenile prisons in southeast Wisconsin that will house the most serious offenders. “I want the community to know that the state is looking at spending upwards of $40 million on building a facility to house young people that I think that the county can do a better job of doing,” says Sharlen Moore. She started Youth Justice Milwaukee. "Building a building isn't going to change the conditions that communities are living in. It's not going to change the conditions of a young person," says Sharlen Moore. Moore has real concerns about the proposed state-run facilities. She says no community input has been sought, and she says the children and families most impacted are black and brown and disproportionately impacted. Moore would like to see more focus on programming from leaders at the state level. “The funding strictly focuses on bricks and mortar. You know, we're hoping that funding can also support the necessary and critical programming. Building a building isn’t going to change the conditions that communities are living in. It’s not going to change the conditions of a young person,” she says. Moore says what will have an impact are the services offered and a focus on prevention. She says that under the Evers administration she’s a lot more hopeful that things could change. Evers made it a point to visit the juvenile facilities within his first week on the job and he comes from an education background. Still, Moore says she understands that legislators will also have to play a role, as it would take a change in the law to allow more focus on programming. Previously, Evers mentioned the timing of the closing of Lincoln Hills and Copper Lake may need to be pushed back. State Announces Closure of Lincoln Hills, How Did We Get Here? Lincoln Hills School has been plagued by allegations of abuse and mismanagement for years. The juvenile correctional facility located in Irma, Wisconsin has been the location of on-going investigations by state and federal agencies. The people in charge of the facility have been accused endangering the lives of the teens in their care. Now, Governor Walker has announced a plan to close Lincoln Hills School, and open five regional centers to handle juvenile offenders. Several dozen people turned out Wednesday night to discuss how Milwaukee County will house juveniles once the troubled Lincoln Hills facility closes in two years. 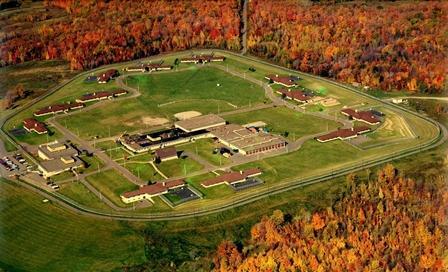 The teen prison in northern Wisconsin has been plagued by allegations of abuse, so the state decided to close it and move inmates to facilities closer to home. Those attending the meeting had a lot of ideas for how the county could provide better care for their loved ones. Wisconsin is evolving in the way in which it treats its juvenile offenders in state run facilities. On Thursday, an assembly committee approved legislation that would close both Lincoln Hills School for Boys and Copper Lake School for Girls in northern Wisconsin in favor of giving counties more control. In recent years, the two facilities have been marred by lawsuits and a federal investigation into how kids there are treated. While some state lawmakers are singing the plans praises but counties have some concerns. There’s a new proposal for where to house juvenile inmates after the troubled Lincoln Hills prison closes. Earlier this year, Gov. Scott Walker unveiled a plan to shutter Lincoln Hills in northern Wisconsin by 2020. But on Tuesday, a number of Walker’s fellow Republicans – and Democrats – shared their idea to have counties house the less serious offenders and help cover the costs. Legislative leaders touted the plan as a cheaper solution to what Walker had proposed.